This week there is a reading of two Parashiot from the Torah. There is the reading of Nitzavim and the reading of Vayelech. Nitzavim is always read the Shabbat prior to Rosh HaShana. Nitzavim has 40 verses. The code word for Nitzavim is ???? which translates as "His Hearts". Vayelech seems to be an introduction to the Parasha called Hazinu which is a song used by HaShem to be a witness for or against the Jewish People. Yet it is its own Parasha of 30 Verses. In total we will read 70 verses and the code word is ?????. This word can be translated in many ways. One way is Adonai from the frame of the physical. Another is Yah is Lord. Yet a third is A single judgement of Yah. To understand this we need to review 3 unusual items in this reading: 1) There is a large Lamed in verse from Chapter 29 verse 27. Please review my email from last year to appreciate the Chesed of HaShem in this Letter. 2) There are 11 dots over the words to us and our children + an Ayin. This is the 10th Parasha that has dots over letters and thus connects us to the mercy that is Yom Kippur prior to the judgment that is Rosh Hashana. It is in Verse 28. 3) In Chapter 31 Verse 28 is the most intriquing item of the 3. This is the last of the six times in the scroll that we have a column that does not start with a Vav. Yet the word does start with a Vav. This is coming to teach us many things but especially about the truth of consciousness. HOw we perceive things is how they are. If we know that our perception is an illusion than we can rise above the illusion and perceive more of the truth. Since this is the last Shabbat before the New Year of Taf Shin Ayin or Hay Taf Shin Ayin when spelled more completely and is actually the year numbered 5770 it is a good time to explain how to utilize the Hebrew Letters and Names to perceive the future and create it with our consciousness. The Kabbalists teach us that everything that will happen during the year is defined by the letters that spell the number of the year. In the Talmud in Pirkei Avot Rabbi Ben Bag Bag teaches us to "turn it, turn it, because everything is in it. This teachings applies to permuting the Letters of the Torah as well as the Years of History. With this in Mind below you will find different Hebrew words that are permuted from the year. ??? The actual name of the year means Nine (as in a number nine) or Ninth. which means "the Ninth". This is the full spelling of the years name including the Millenia. which means time;season;era; period. In Aramaic it means NOW; this time; for the time being. which means to stray or wander; to get lost. In the Aramaic language it means to go astray; to be lost; to err. which means to grow stout or fat; also used as a noun meaning a bar of metal. In the Aramaic language it means forge; harden; to make strong. which means hour;time; to pay heed; to look about; to suspend. In the Aramaic language it means "care for; daub; hour; linger;mind; moment; paste over; to dwell; to look; to smooth; to vary according to season; while". which means to do;to make; to carry out; to spend time;to yield; to produce; to create; to appoint. This is the root of the term Assiya which is the term we use to describe the physical world. In the Aramaic language it means prepare; tarry; to do; work; to spend time. which means to industrialize in modern Hebrew. Now stop and review all of these words and understandings. What do they mean to you. How can you use them in your dreams and aspirations. How can you utilize this consciousness so that you are using the energy in the cosmos to support you and not fight/contest with you. You are the most important consciousness when it comes to changing your year. When you are in sync with the energy of the year and the univerese it is easier to manifest your desires. This is part of Tshuvah. This is how we transform the world and make Tikune Olam - correction of the world. When we do our work during the month of Elul and the Days of Awe (the 10 days between Rosh HaShana and Yom Kippur) than we truly can change our year at its DNA source. It is all consciousness. During the Tephila of Yom Kippur use the information from this email to transform your consiousness from a desire to receive for oneself alone to the desire to receive in order to share. The more you do this the more your desires, dreams, aspiriations will manifest in your life during this year. Now i will give you some Kabbalistic insights to the essences of the Hebrew words above. The number 9 has two aspects. It is completion and perfection which is why it takes 9 months for a baby to be born. At the same time that baby represents the other aspect of the number 9 which is a new beginning. In the frame of the spherot, The ninth Sperah is Yesod or foundation. It represents the channel from the spiritual to the physical. It is our understanding of Joseph HaTzadik who took over orgainizing and channeling all of the wealth of Egypt during the times of plenty and preparing for the time of famine. When we look at things from the bottom up, the 9th Spherot is Chochma which means wisdom. This sphera is related to the intuitive level which is where we experience HaShem in the most direct manner. The year ahead can be a year of action and manifestation which is what Yesod does for Malchut. It brings all things to the physical. The year ahead has the potential to allow us to mislead ourselves and to waste time. At the same time it has the portential to utilize time to make ourselves strong. 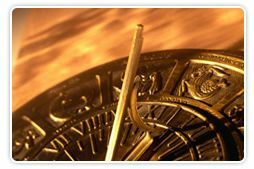 To truly understand the conection of the year to the concept of time, we need to learn that time is an aspect of Mercy. It is the distance or space between cause and effect. This is where we have the possibility to do Tshuvah and correct all those mistakes we have made. The year ahead is up to you. What will you do with its potential? The year ahead is filled with the opportunity for HaShems mercy. How will you utilize it? The year ahead is clearly the opportunity to build and grow strong or to grow stout and wander around in a daze. What will you do?